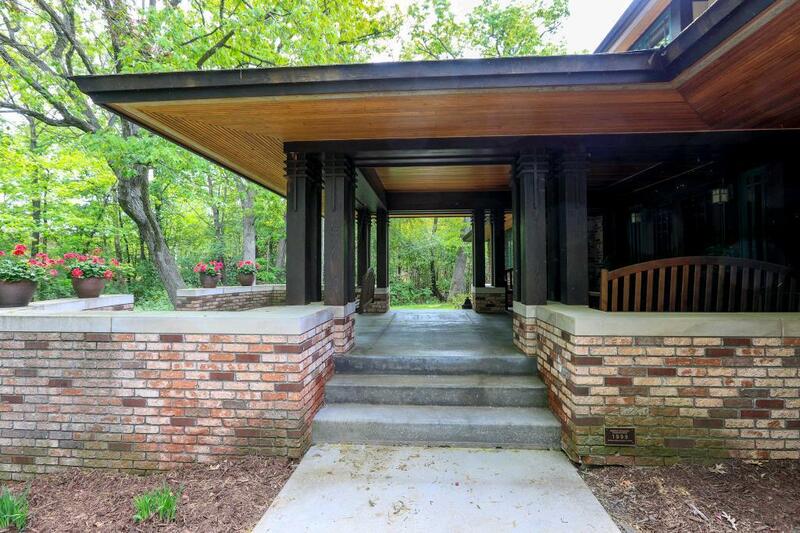 Indian Hills 1.6 wooded acres of oak, elm & birch trees, nestled on a secluded hilltop! 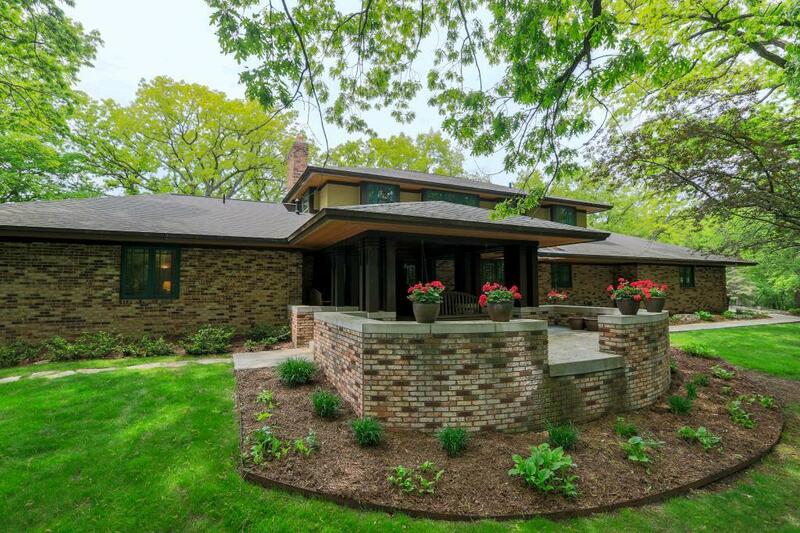 Prairie-style home was completely renovated by Sarah Susanka & Sala Architects. 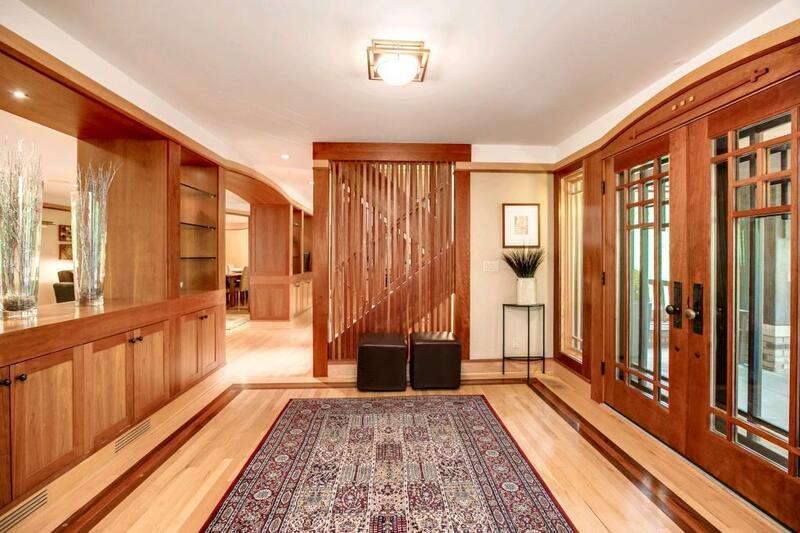 5,000+ square foot home features granite, cherry and maple throughout. Open floor plan with formal and informal dining room and living areas with fireplaces. Large master ensuite with walk-in closet, double sink mstrbth, fireplace, screened porch. Two additional screen porches. 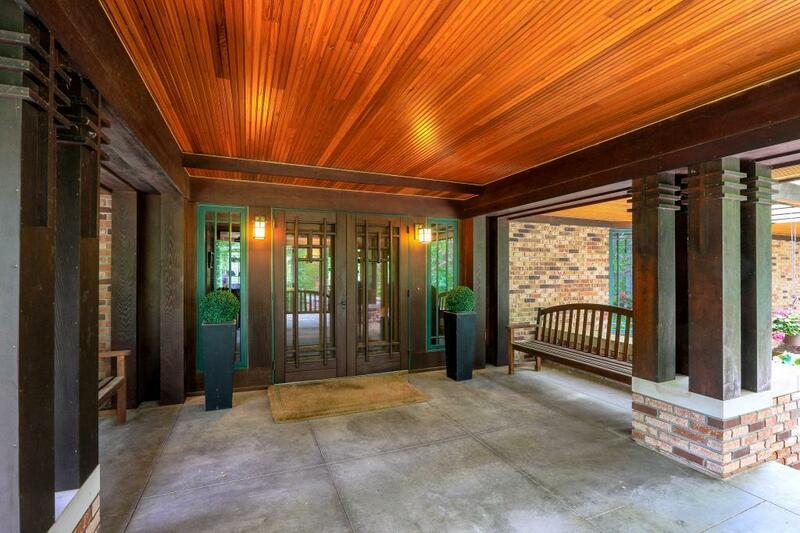 Inviting front porch and foyer. One of a kind!